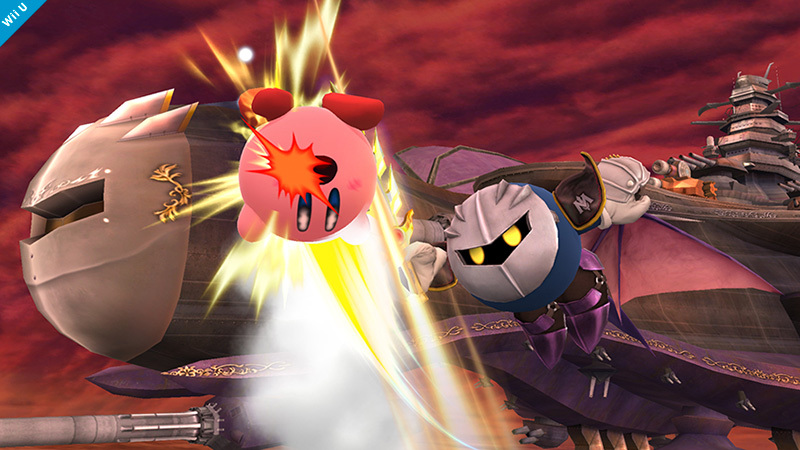 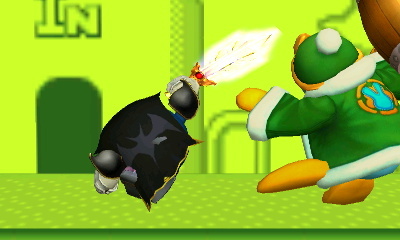 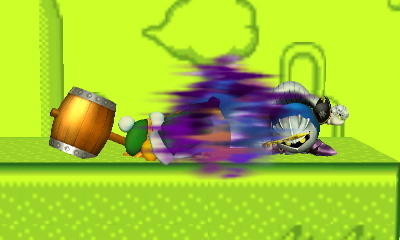 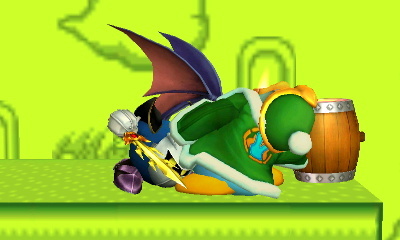 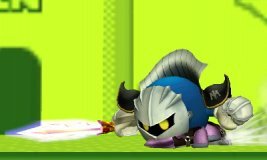 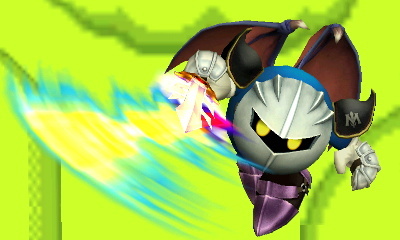 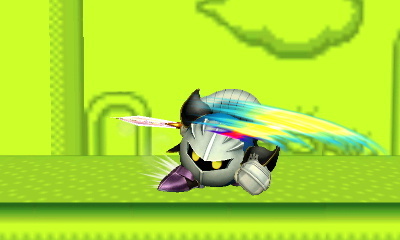 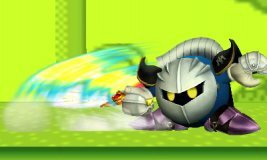 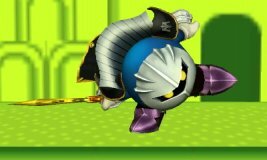 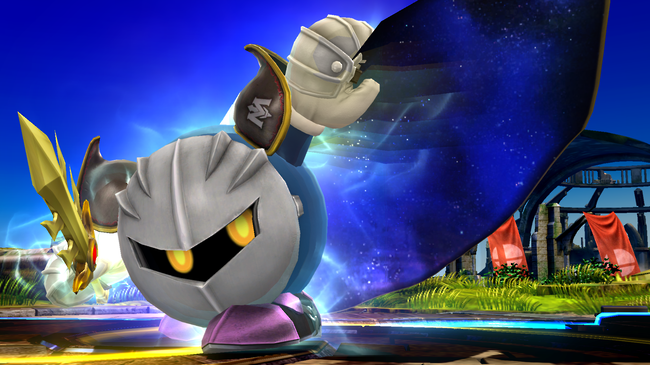 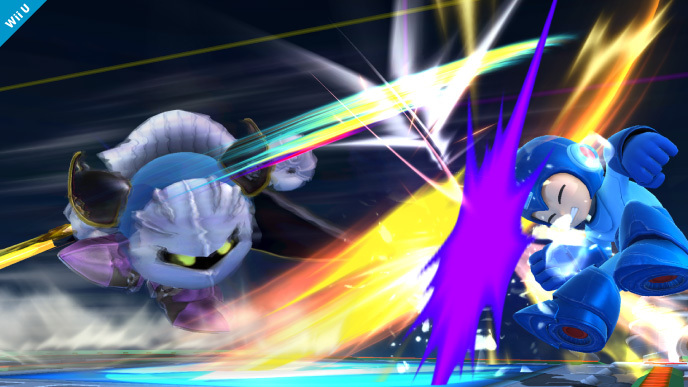 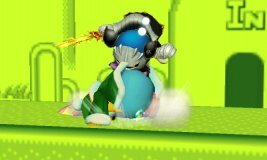 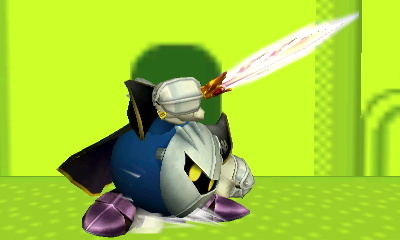 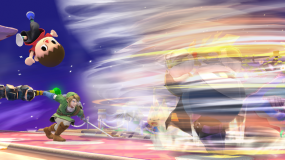 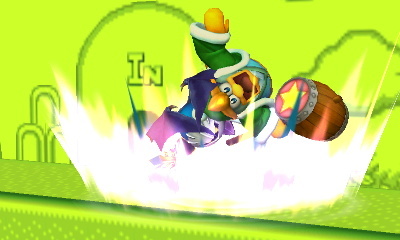 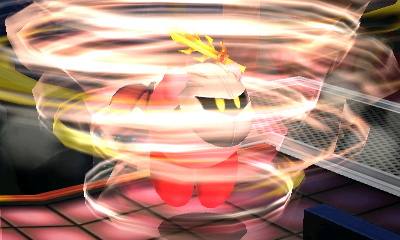 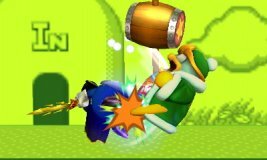 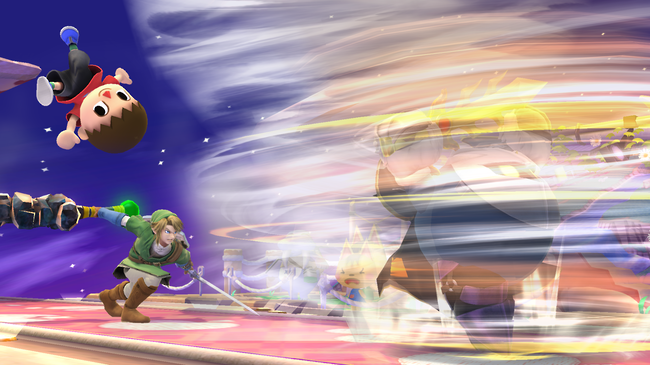 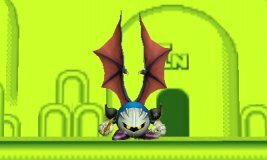 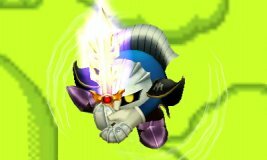 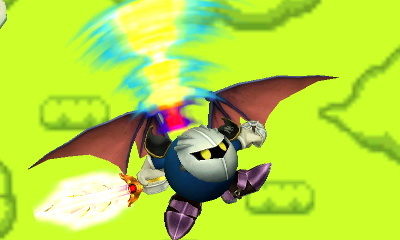 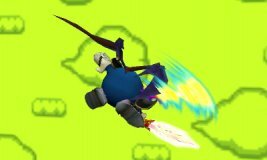 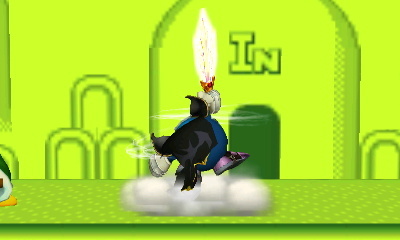 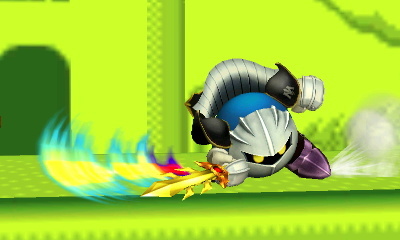 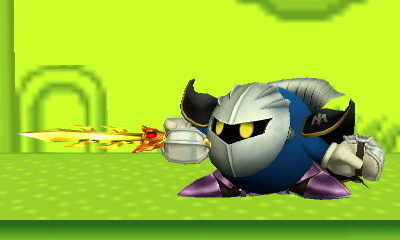 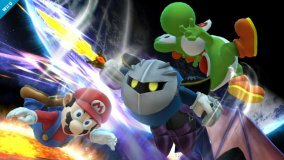 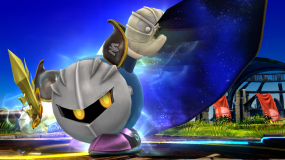 Meta Knight turns his cloak into wings to jump five times in midair, though he cannot use them to fly. Mach Tornado and Drill Rush are not only good multi-striking attacks, but also work as excellent horizontal recovery moves. 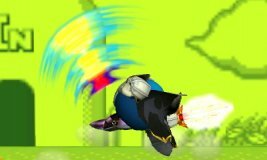 The Shuttle Loop now hits opponents twice but no longer ends in a glide. 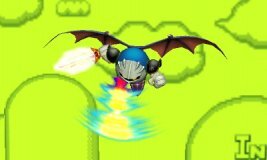 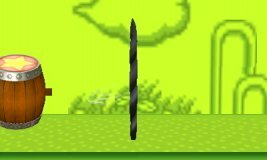 Hold the attack button after using Dimensional Cape to slice opponents in the opposite direction traveled after reappearing. His Final Smash, Galaxia Darkness, deals heavy damage to those caught in the initial cape swoop, and half damage to those who are not.